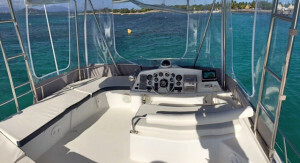 TWIN VOLVOS 75HP EACH WITH ONLY 450 HOURS. JUST SERVICED 2018. 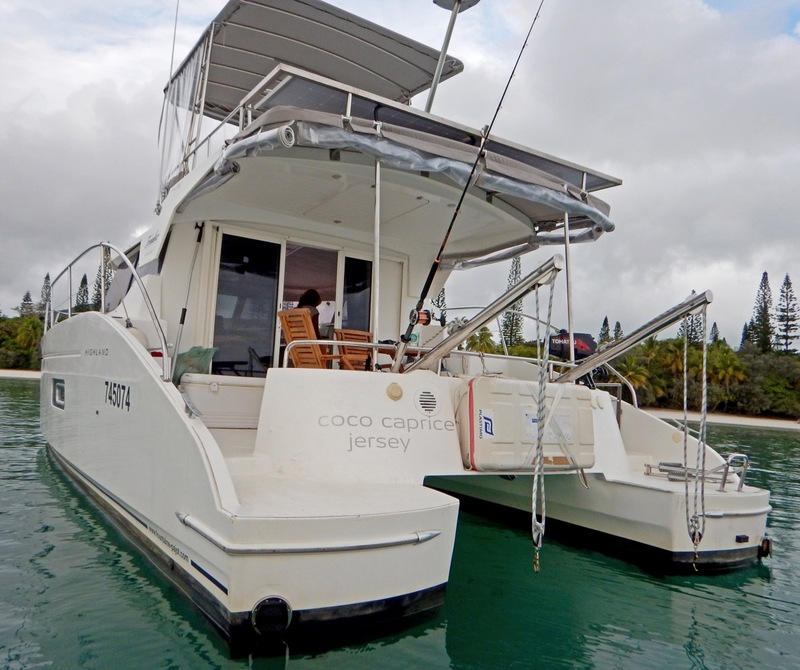 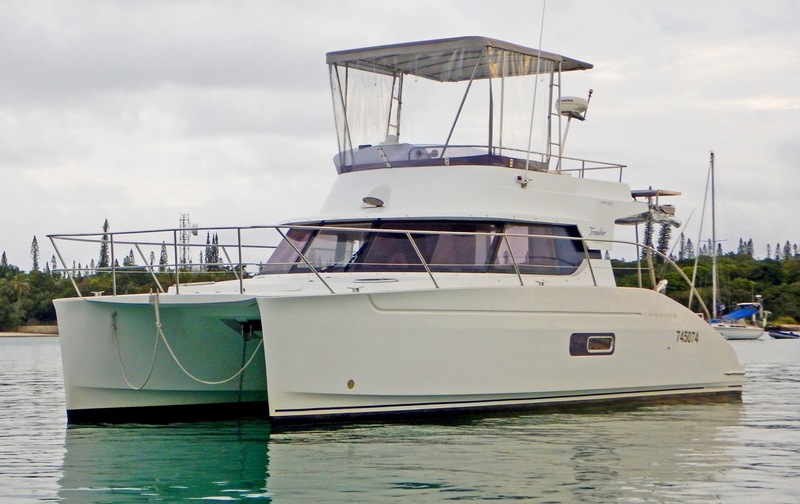 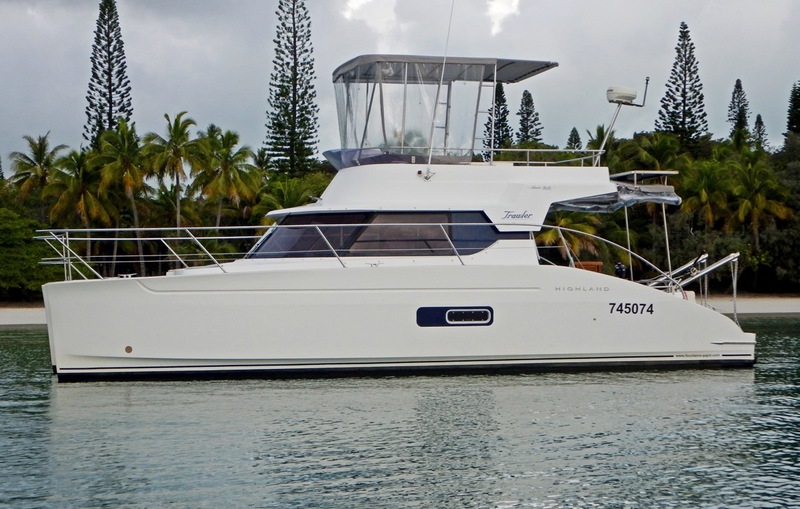 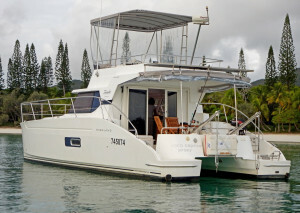 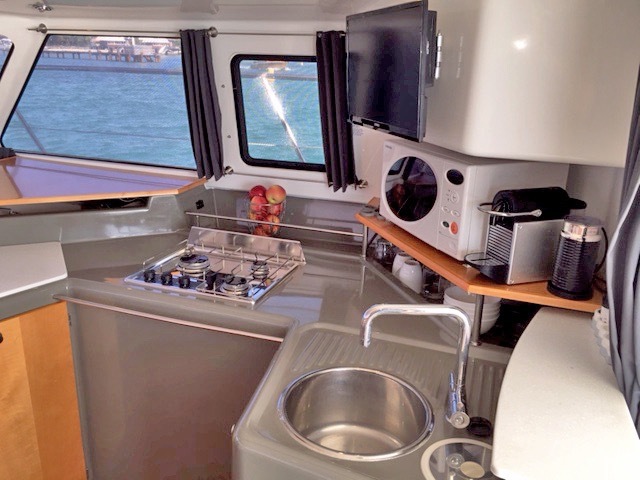 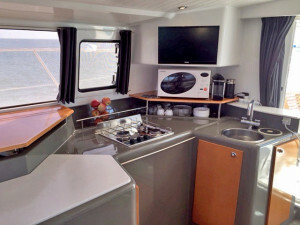 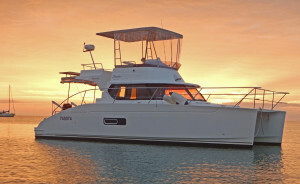 Fountaine Pajot`s HIGHLAND 35 Trawler Catamaran is a fuel-efficient, offshore power catamaran. 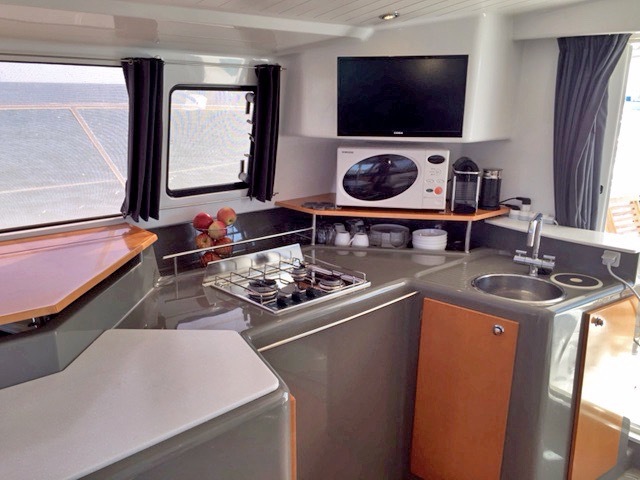 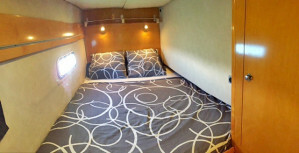 High performance with low consumption, stability and exceptional volumes on board with 3 double cabins (6 berth). She comes with a majestic flybridge and sun bathing for 4 people, her luminous saloon and galley with opens onto the cockpit making open air dining a real pleasure. 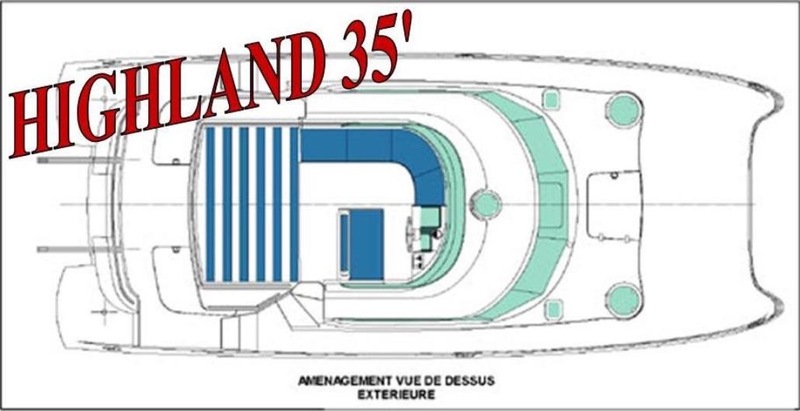 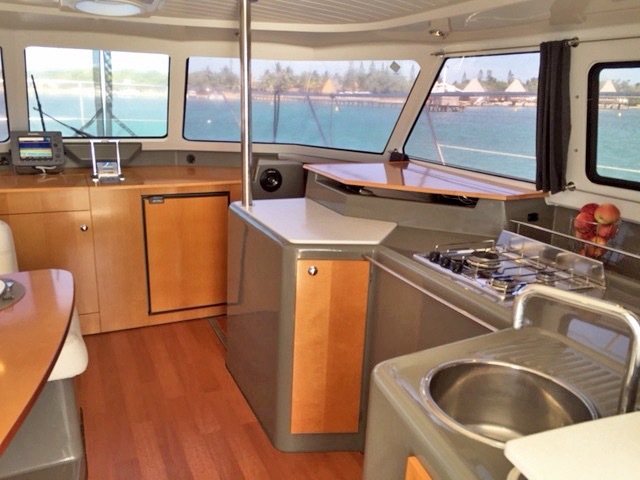 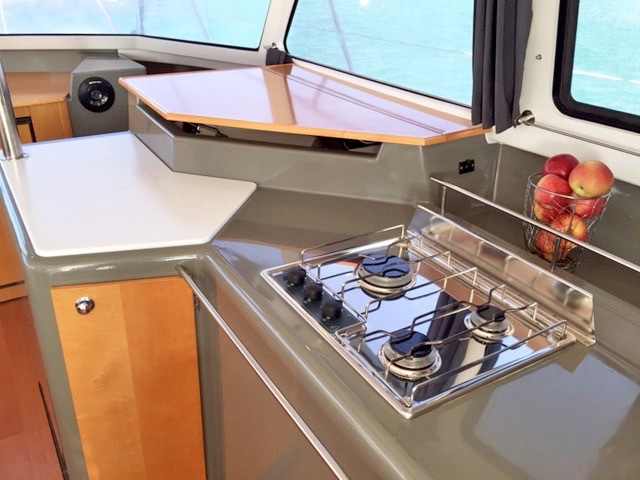 The living area of ​​Highland 35 is almost twice that of a trawler mono hull of the same length. 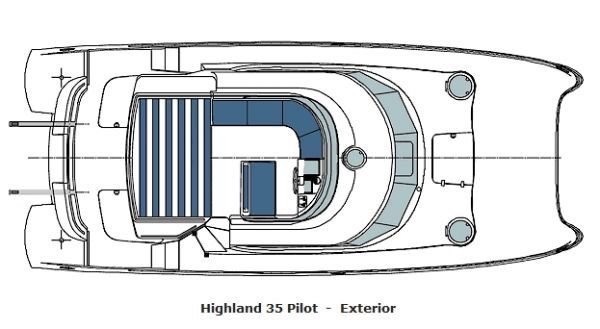 Three double cabins including the owners cabin on port side, the Highland 35 also has a huge saloon that accommodates a lower helm, lounge dinning and galley with full 360 deg views. 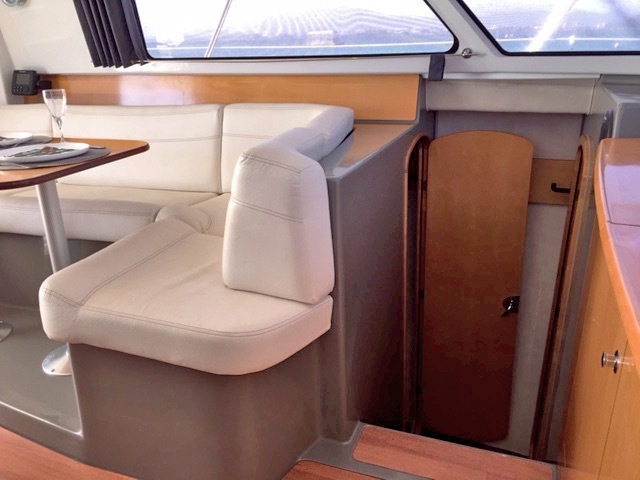 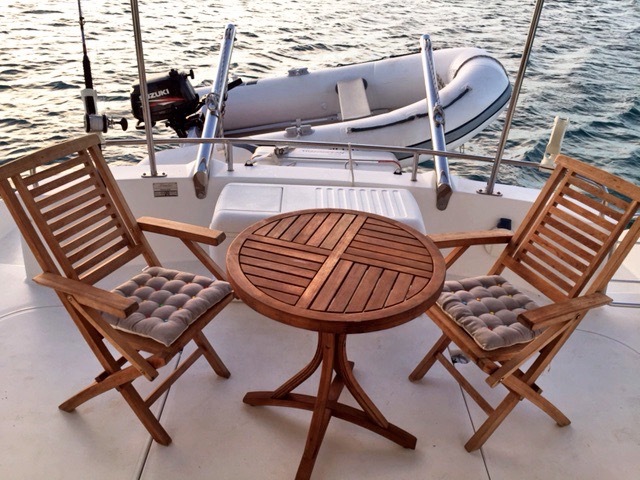 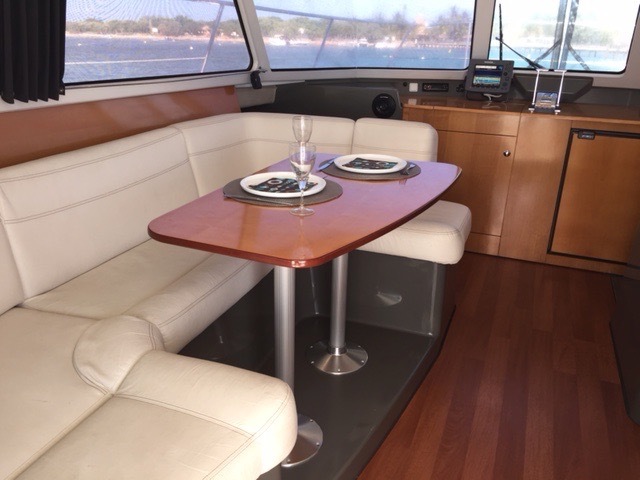 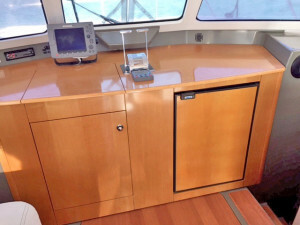 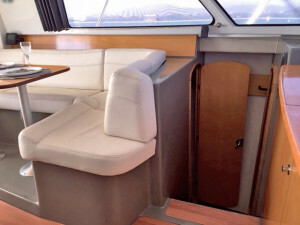 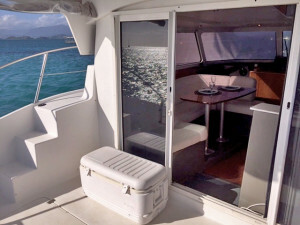 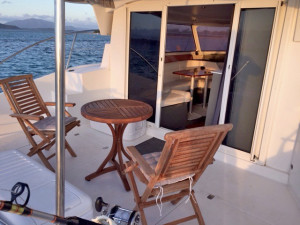 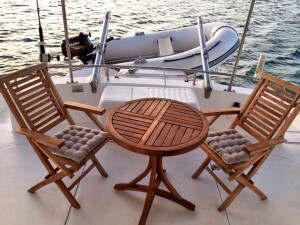 Easy access to the cockpit and stairs to large flybridge and sun lounges. 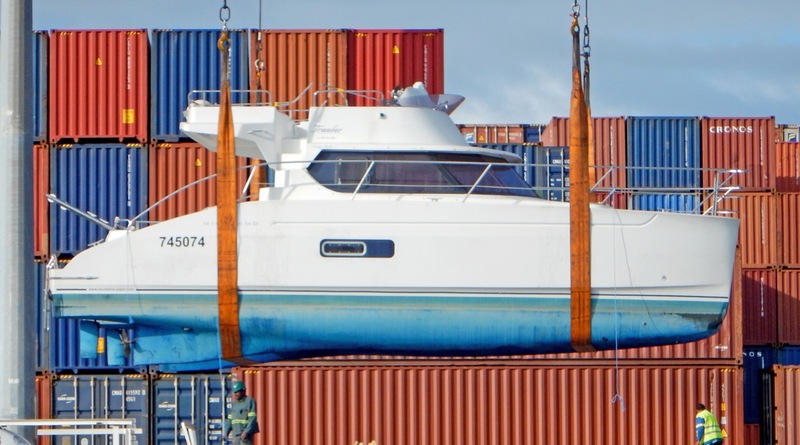 The vessel was not much used, never in charter and was stored on a hard stand for almost 3 years. 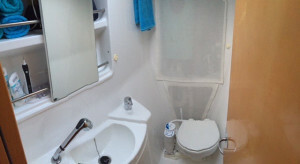 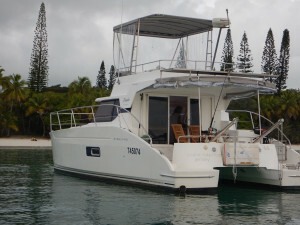 This power cat is very well maintained and in in absolute good condition. 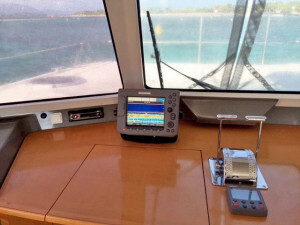 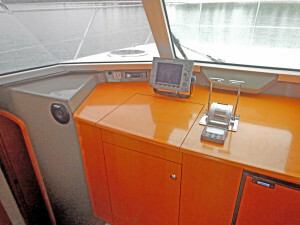 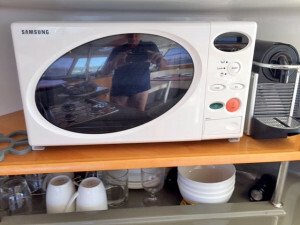 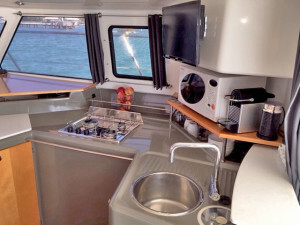 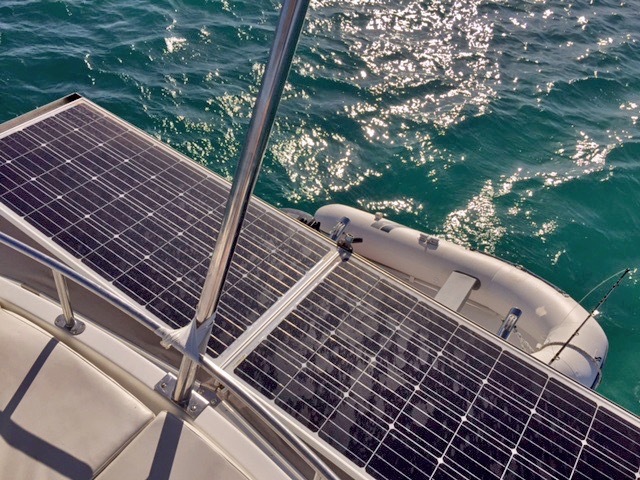 It is now equipped for long range cruising with state of art electronics. 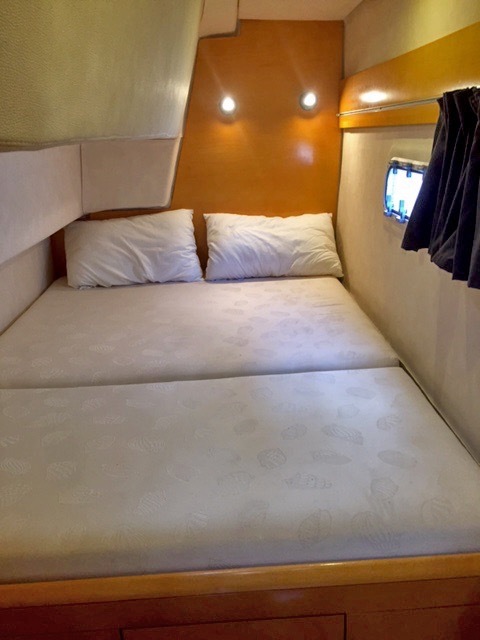 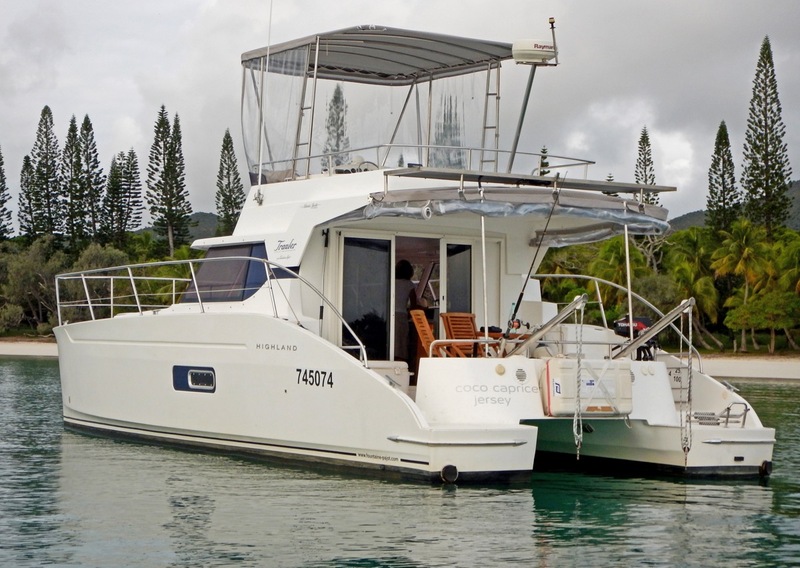 The builders Fountaine Pajot have combined the advantages of catamaran with those of the motor cruiser to produce the Highland 35. 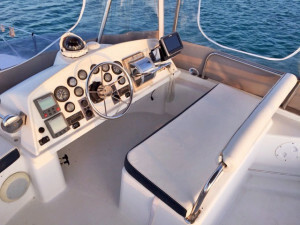 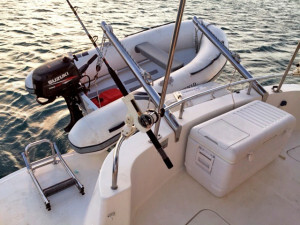 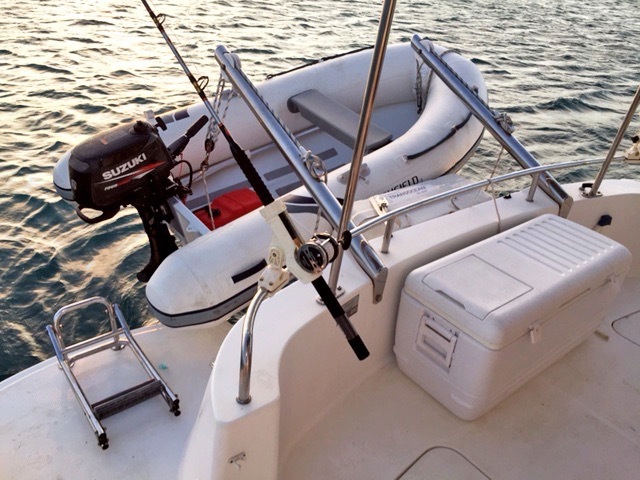 The 2007 built boat is equipped with two Volvo 75Hp with only 450 hours and two new turbo charger in 2015. 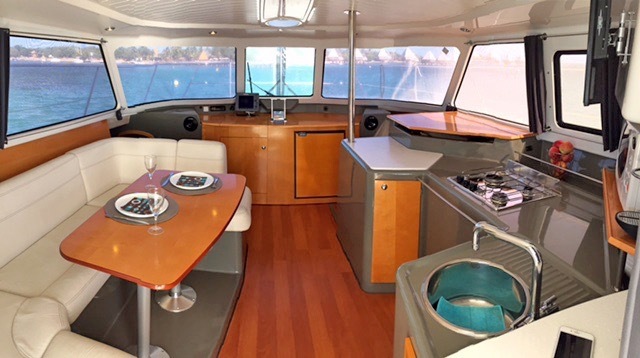 This trawler reaches 15 knots max, and cruises between 10 and 12 knots, with a range of about 500 Nautical Miles and a long range of more than 1,000 NM at 6 knots. 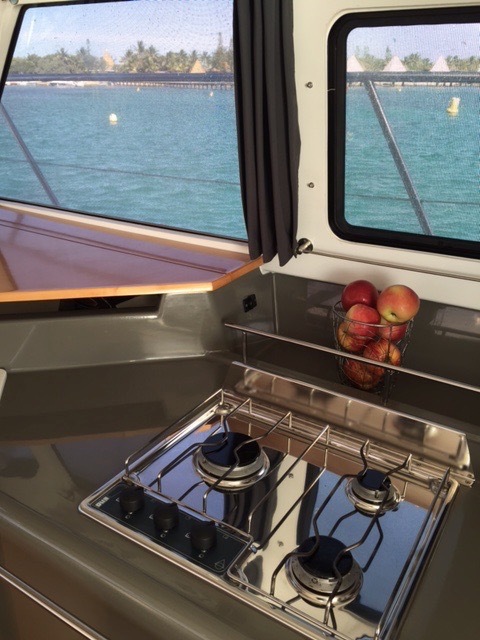 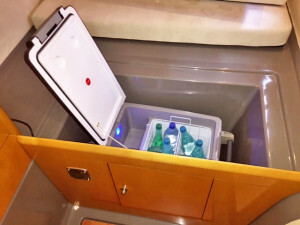 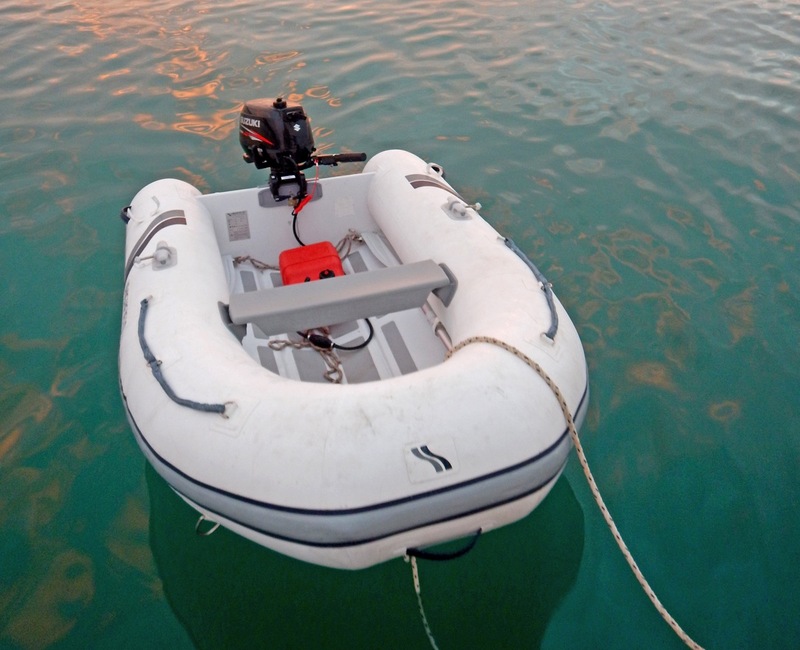 The Boat has 2 more flexible Diesel Tanks with 100 l each to extent the cruising range to over 1,200 NM. 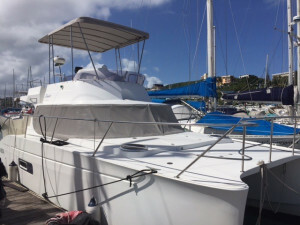 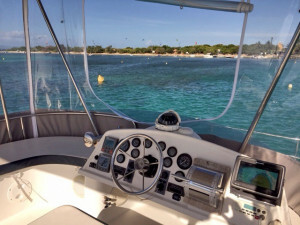 The boat presents in excellent condition and the owners now offer this beautiful boat for sale only to upgrade to another boat. The engines were last maintained in March 2017 in Noumea. 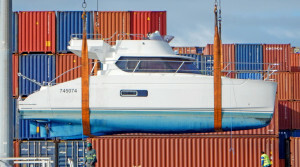 The boat is registered in Jersey and tax free imported to Vanuatu. 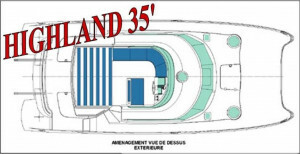 The tax is also paid in Europe. 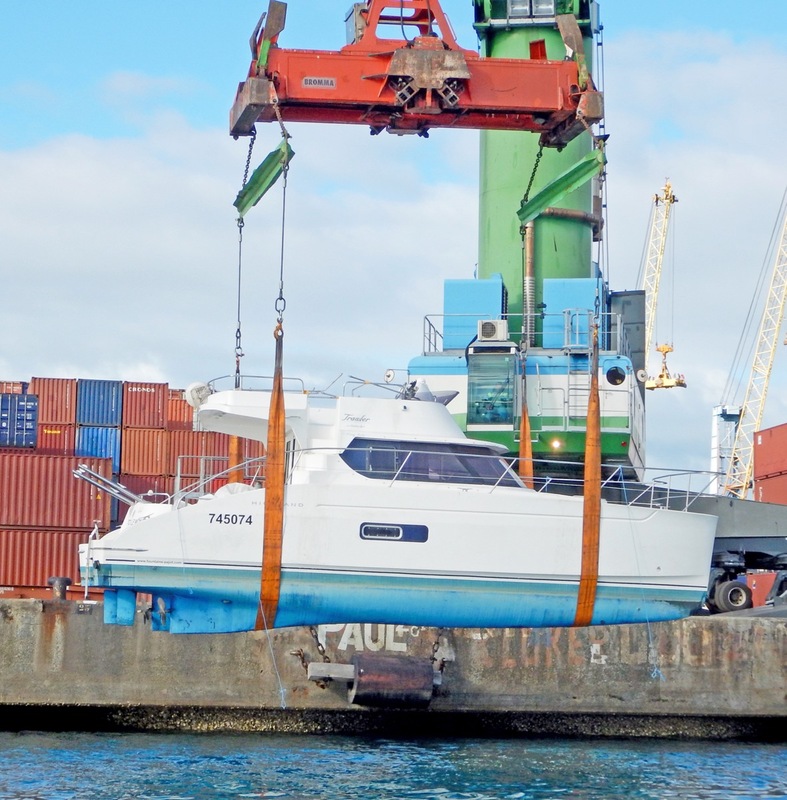 The boat is currently located in Noumea. 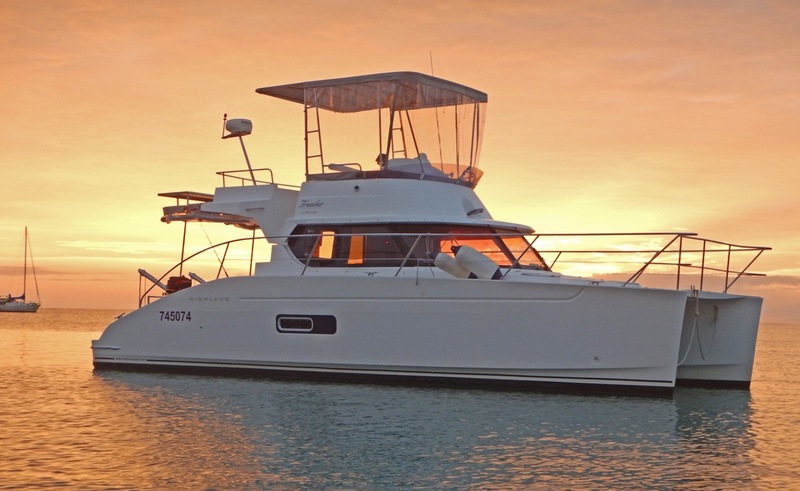 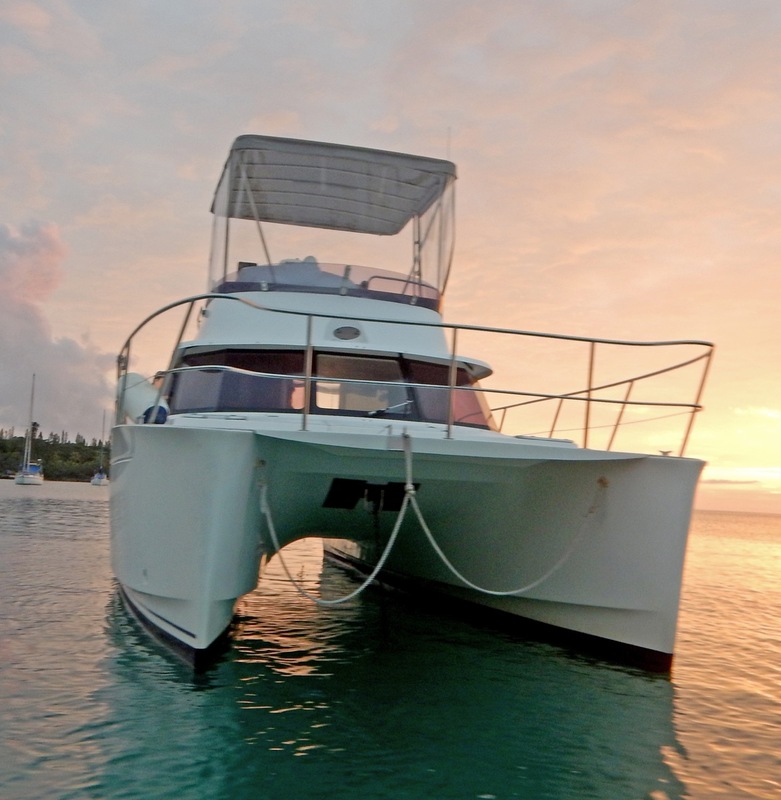 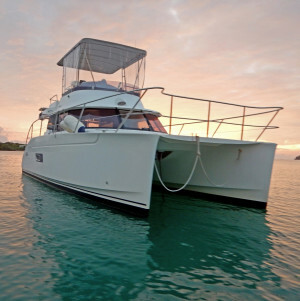 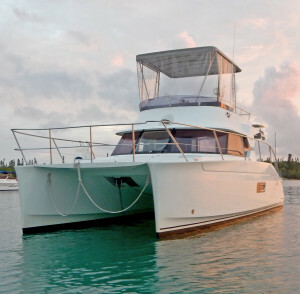 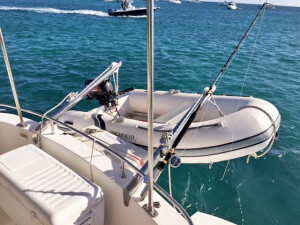 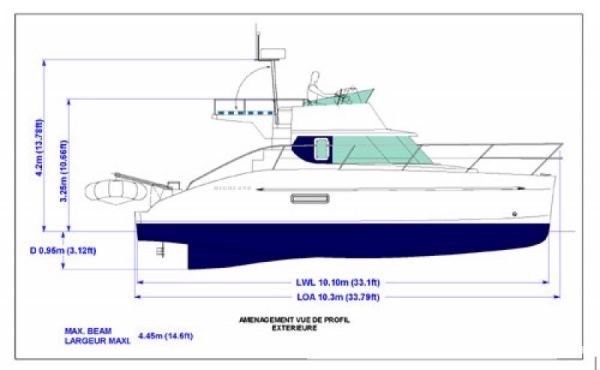 For New Caledonian resident purchaser, the boat will be transferred by the vendor free of any import tax obligation. 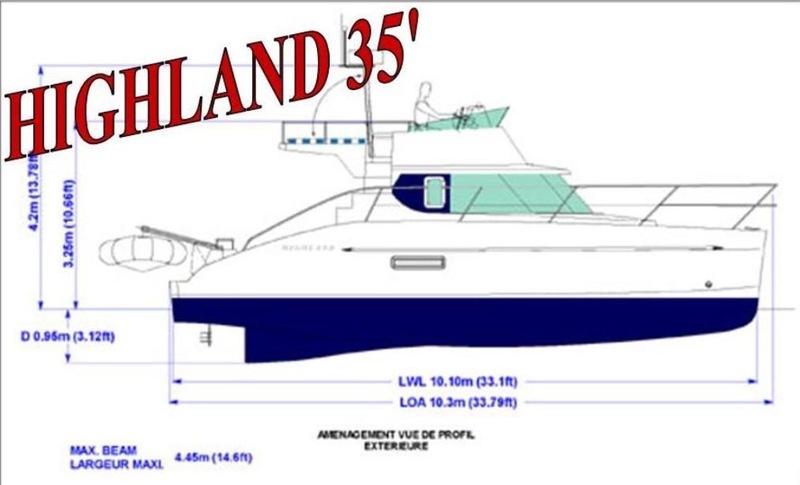 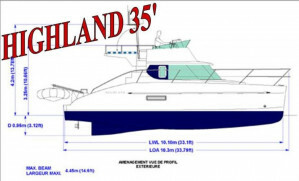 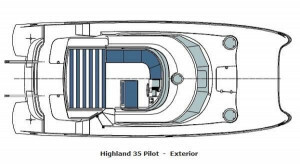 Modern lines and an innovative design make the new Highland 35 an outstanding power craft in her category. 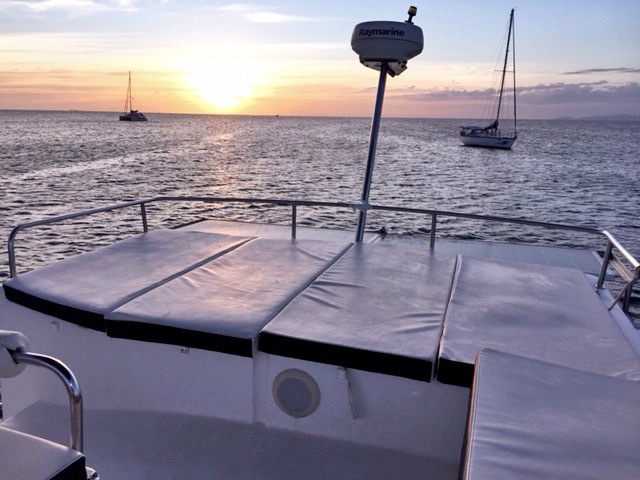 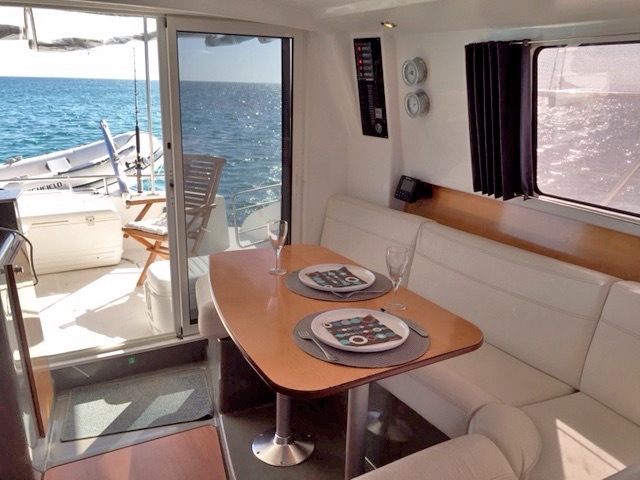 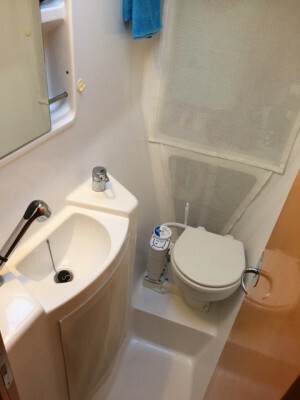 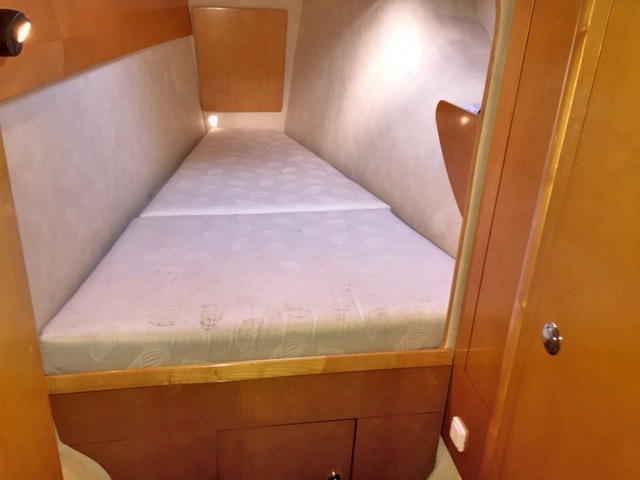 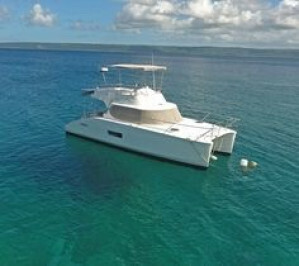 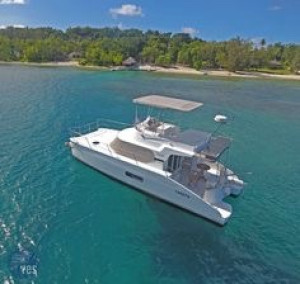 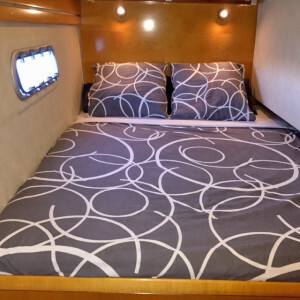 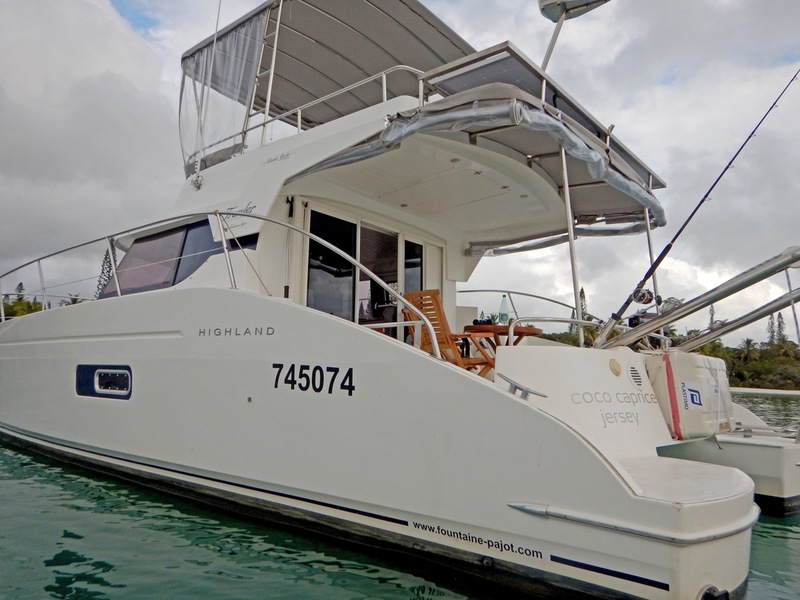 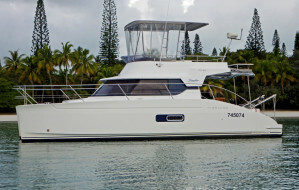 This spacious catamaran is perfect for long-distance cruising. It has three spacious cabins, a large flybridge and open plan cockpit and saloon. 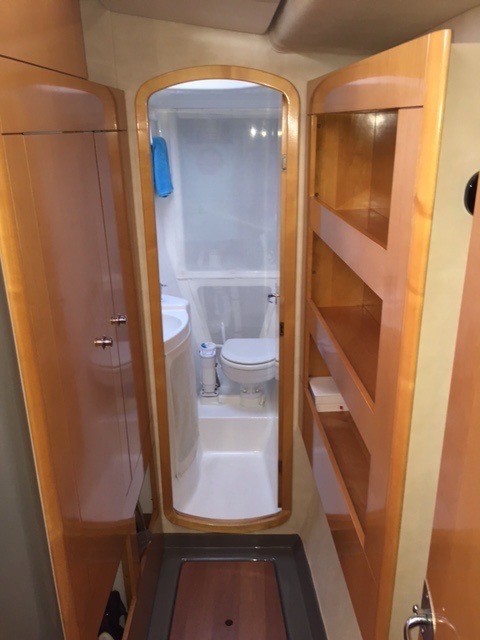 Last service: 2018 full service. 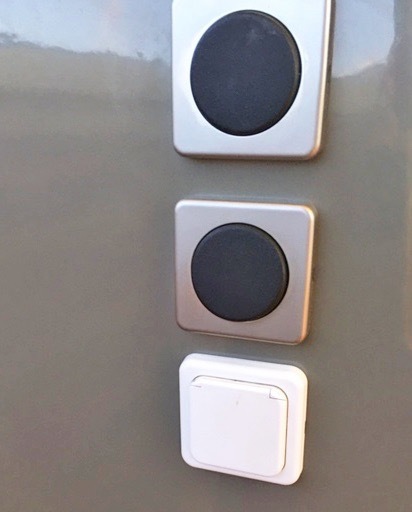 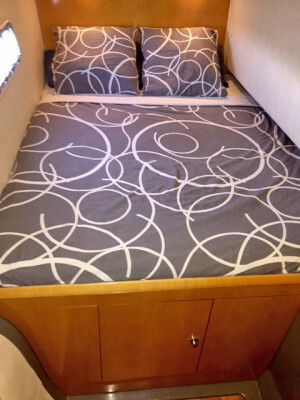 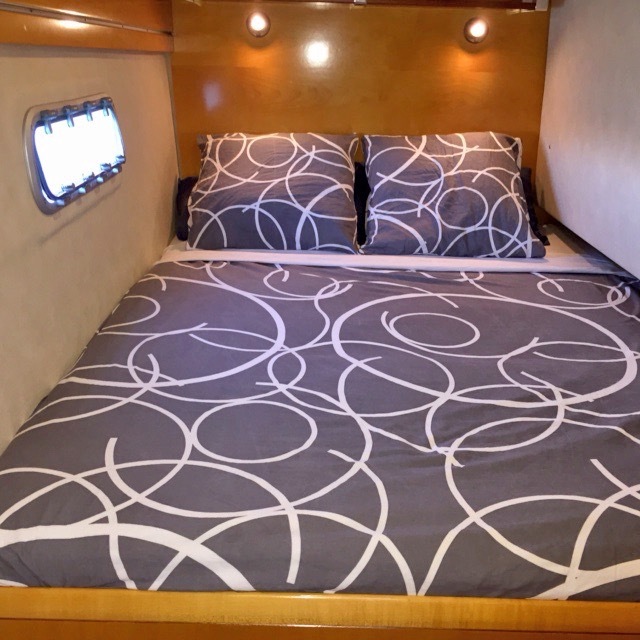 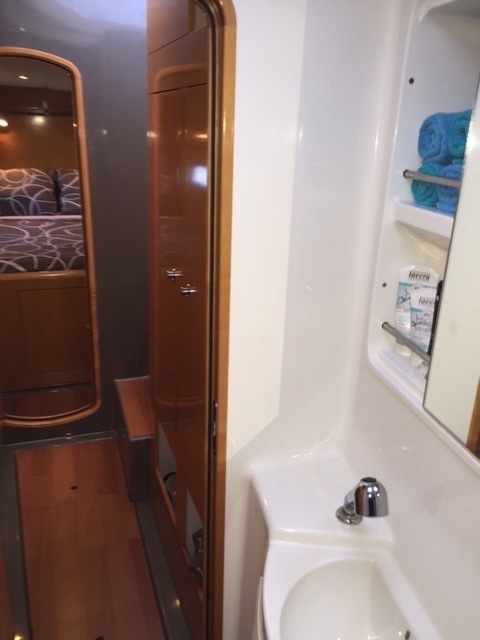 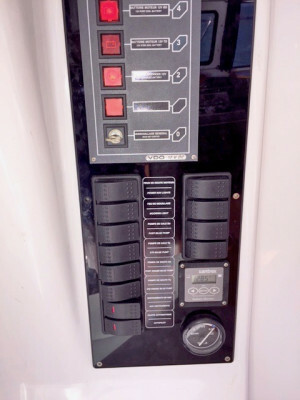 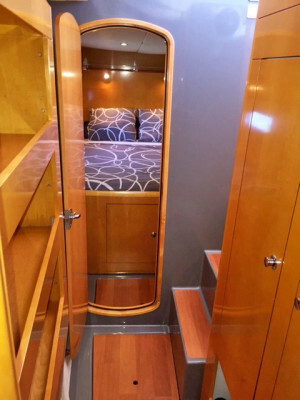 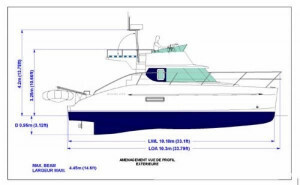 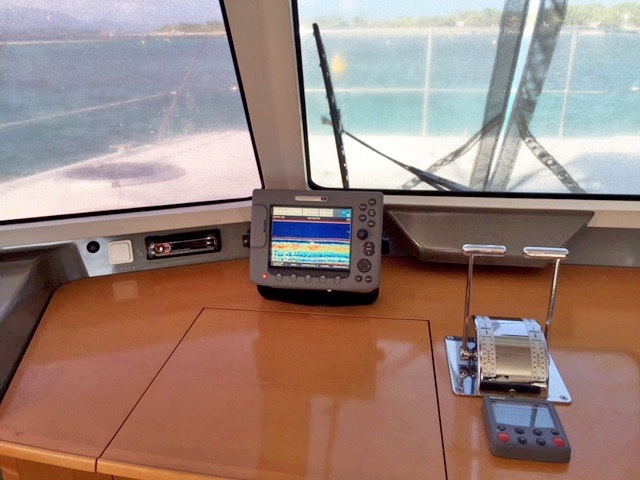 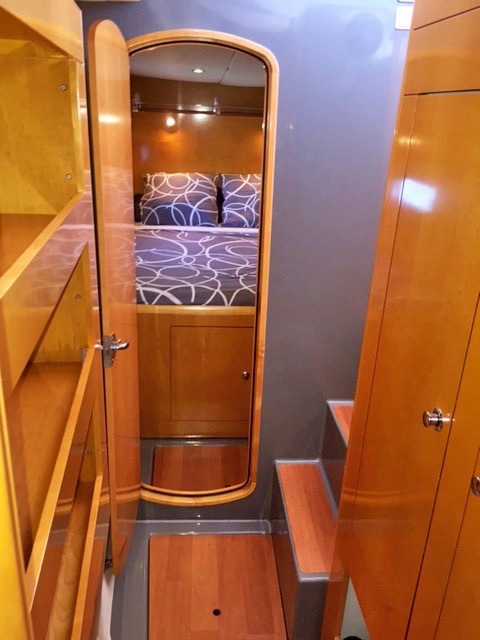 VHF: DSC VHF COBRA on Flybridge (New 2015) Loud speakers on Flybridge and saloon. Engine Type : Inboard diesels.